They say you can’t judge a book by its cover, but let’s be honest, we do, and I think the same can be said of the outside of a restaurant. Porteno is found on Cleveland Street, and from the outset its first impression is not a favourable one. It was our typical nana o’clock dinnertime (6pm) and as we rocked up I was concerned that we were going to be the only ones in there. It seemed empty and lifeless…. That was, until the doors were opened for us. I was well proved wrong, and I am so glad I was! Greeted at the doors by a funky, warm waitperson, we were taken to a share table at the back of the restaurant. The place was heaving, and filled with amazing smells of meat, loud retro music, and laughing – the perfect place to be on a cold wintery night. 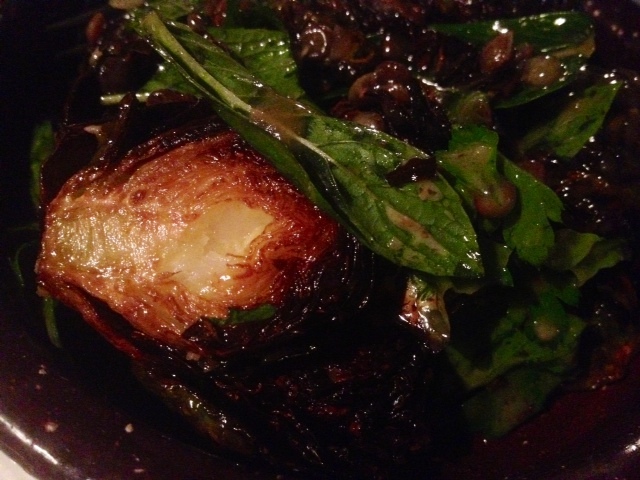 Porteno is an Argentinean restaurant specializing in Tapas share plates. 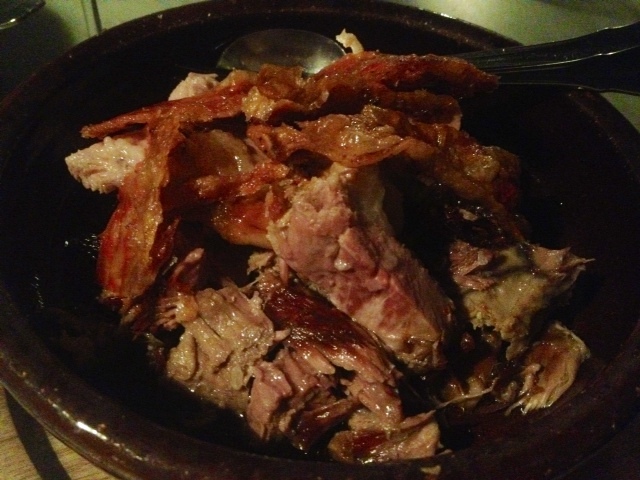 Their specialties are the amazing BBQ meat dishes; one lamb and one pig dish, which have been slow-cooked for 8 hours. Our waiter Josh was exceptionally lovely, and talked us through his recommendations. In situations like this, where you are faced with Tapas, I find that asking them for their recommendations on how many dishes to order helps prevent you from having a severe case of ‘I-ordered-too-much-and-now-I-feel-sick-itis’. 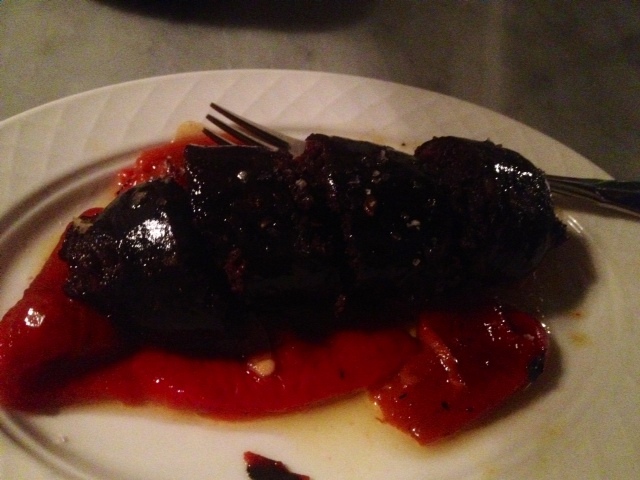 My goal for this evening was to order something that I would not normally eat, to get out of my eating comfort zone; this lead to me asking for the Morcilla, or Blood Sausage, which as the name suggests, is exactly as it sounds. Now, unlike my fearless eating boyfriend, things like that gross me out, and the idea of eating congealed blood makes me gag. 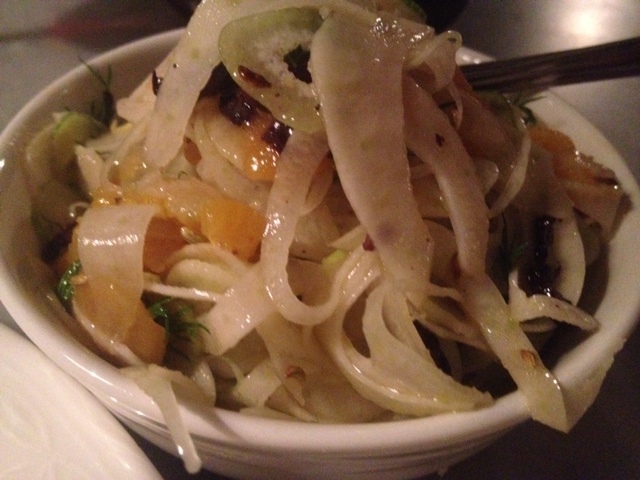 It arrived first, and was accompanied with red pepper in garlic. It smelt amazing, but the little warning voice inside my head was on high alert, reminding me of what I was about to eat….blood. I managed to cut off a decent amount, and with the red pepper proceeded to chew it slowly. The texture was soft, and mushy, and while the taste was pleasant I was fully aware that I was eating soft, mushy blood (with some sausage meat thrown in). It beat me, and I was a one-bite wonder, but I was proud that I had tried something different. The rest of the meal was absolutely delicious, and Josh was right; we had ordered the perfect amount of food that left us satisfied and full but without feeling over done. Blood sausage, slow cooked lamb, roasted peppers, fennel salad that had apricots in it (this may come as a surprise to regular readers, but I love stone fruit. My mum used to find me perched up man a neighbourhood tree filling up on plums, and ‘ruining my appetite’ as a kid). And that is saying something, because I used to hate them. Mum somehow had me convinced as a child that these were basically the best things you could eat, so I would stuff a whole one in my mouth with as much other food as I could, just to try and hide the taste. It never worked, and I grew up thinking they were disgusting. I’ve since tried many things I once thought rubbish, and these guys are one of those things. I’ve found that steaming them then cooking them in bacon fat works pretty well (although what wouldn’t go well with bacon fat?! 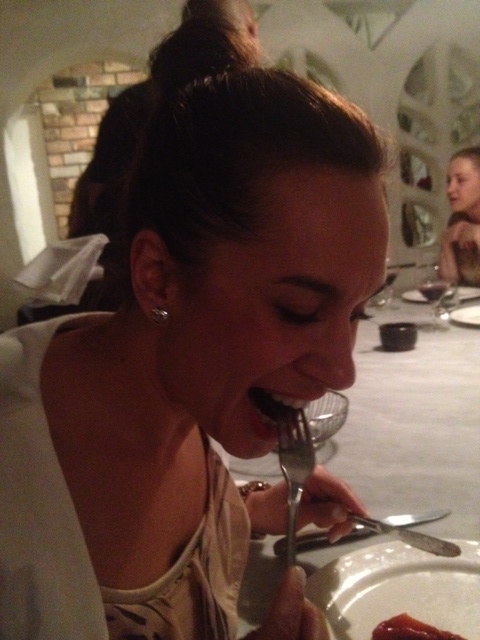 ), however, I simply could not get enough of the sprouts served to us at Porteno. So much so in fact, that I essentially ate the entire serve, and ended up feeling the detrimental effects upon meals end. Oops. This was a lesson for me. Even if something is an incredibly healthy food, one that you could almost count as an ‘anytime’ food, does has its limits. Which I found last Friday night. 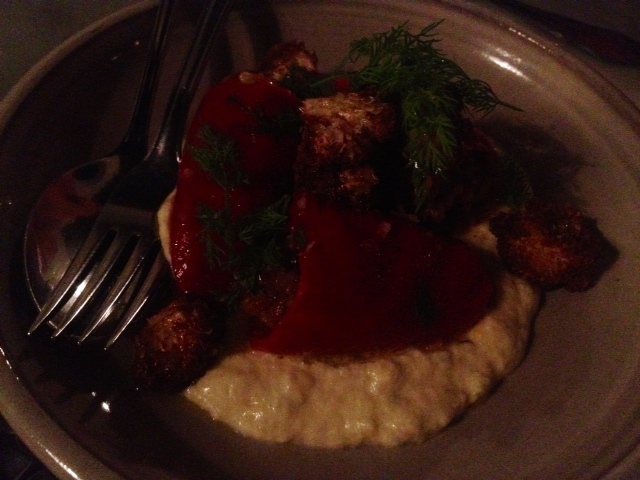 Still, Porteno was an excellent dinner. Not entirely cheap, but definitely worth it for the delicious food and wonderful overall dining experience. Before we go for another week, let me put out a shout to any suggestions of restaurants, cuisines or styles of food that you’d love to see us cover, or any eating issues that you struggle with when you eat out (ha). I knew as soon as you mentioned Brussels sprouts in such a positive, excited way that you had to be talking about Porteños!! Yum!! Tried to replicate their sprouts last Xmas – they weren’t half bad! !